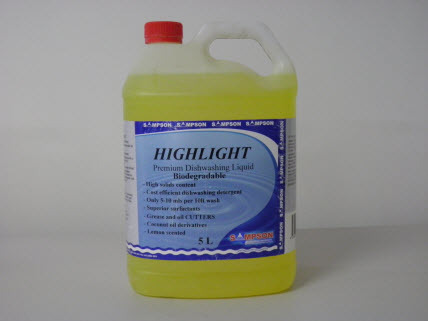 Used for hand dishwashing, floors, kitchens, walls, tiles, bathroom and all painted surfaces. This product is a highly efficient, bio-degradable liquid detergent with a neutral pH, designed to achieve optimum results on a cost performance basis. It is a unique blend of ionic and non-ionic surfactants to produce a high solids detergent with excellent streak-free rinsing properties.